When customers like yourself purchase console furniture, the sales process often includes a discussion about panel systems, also known to some as the “core.” If you speak with a variety of vendors, you will get a variety of panel solutions as well. 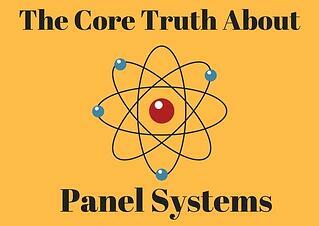 I want to help educate you about what is needed from panel or core systems so that you end up with the most efficient option. In 2014, we built an entirely new 911 center. Prior to our new center, we were in a basement for 36 years, our last furniture system (a Xybix competitor) we had for over 10 years. “We won’t make that mistake again”. The rats nest of cables. The constant unplugging of monitors. Speakers, keyboards and mice getting dragged off your desk every time your raise your console up so you can stand... Sound familiar? 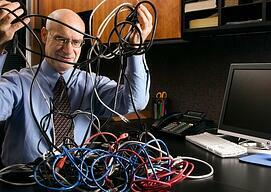 All of these issues are usually a result of poor cable management. (Unless you have a ghost in your dispatch center, if you do, please email me.) Cable management is more than correcting that bundle of cables hidden under your desk it also should include making sure that you have the appropriate length of cable extensions so that you can actually use your console to "stand" without the fear of unplugging. The IT team and contractors should always be considered part of the mission-critical team in the 911 center. The 911 comm center, security monitoring rooms, and command and control rooms are all mission-critical rooms. Cable management within these rooms can affect the people that are counting on 911 centers in a time of critical need. It’s crucial to prevent the CAD screen from dropping or the phone line from going dead because callers could be in a life or death struggle or they’re getting help for someone else. As Xybix’s West Coast Territory Manager, I’m very fortunate to be able to visit various comm centers when I’m traveling on business. The opportunity to drop by these centers, meet new people and learn about their needs is something I can personally relate to — I also work as a communications supervisor for a police department. 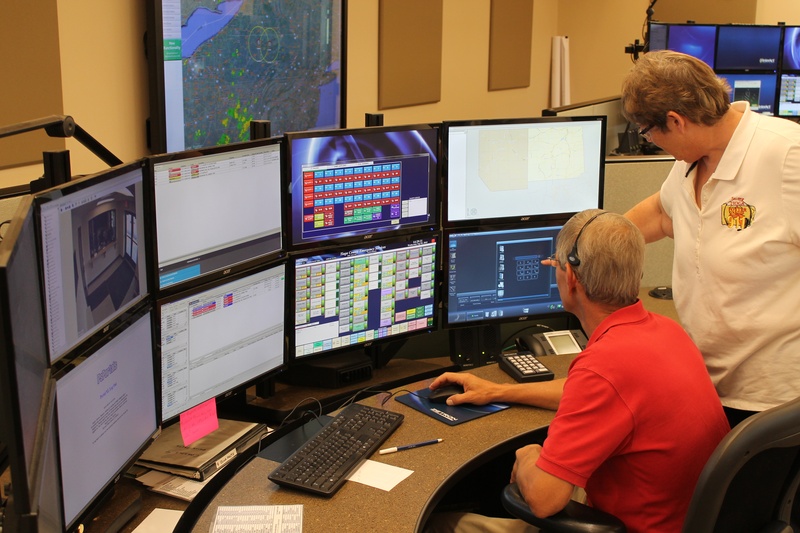 Many times, when I’m speaking with a dispatch manager, we not only talk about the center’s need for reliable workstations, but also its computer-aided dispatch (CAD) and phone systems. I’m always interested to hear what works for them. But the one thing I notice time and again is that many dispatchers still use multiple computer mice at their workstations. 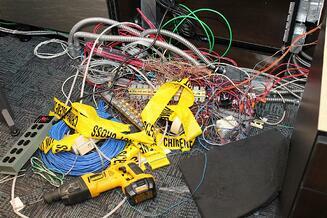 When I see this, I don’t hesitate to ask, "Do you utilize a KVM switch in your dispatch center?" Believe it or not, some agencies have never even heard of them! 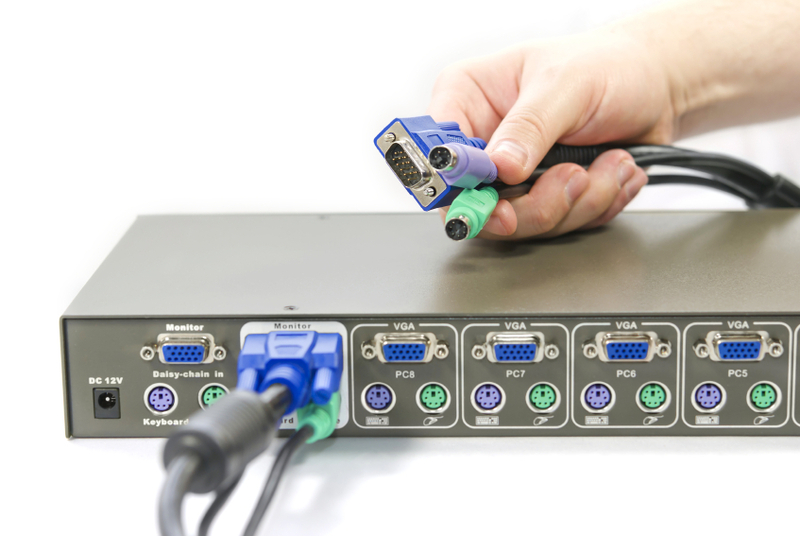 With that in mind, let me explain what a KVM switch is and how it can help organize your workstations while enhancing the performance of the dispatchers in your center. 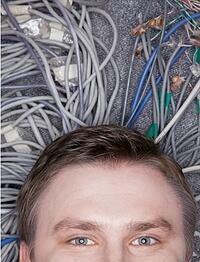 What is the one thing that public safety employees always seem to disagree about in a communications center? Well, there may be more than a few different things on your radar, such as lighting or even a code 7 — can we all agree on a place to eat? 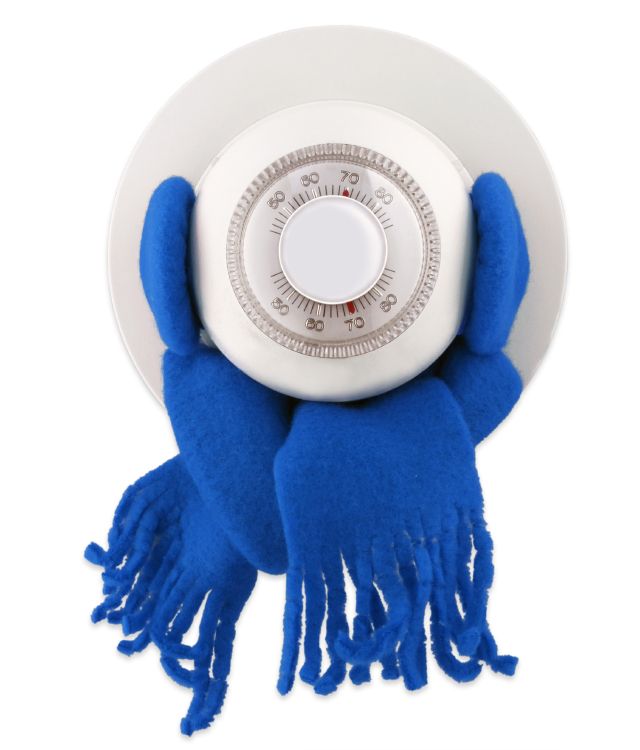 However, working as a 911 Dispatcher in California, the biggest argument I hear again and again in my center is over the thermostat! Can we turn the heat up? Can we turn it down? There never seems to be a perfect setting to suit all workers.